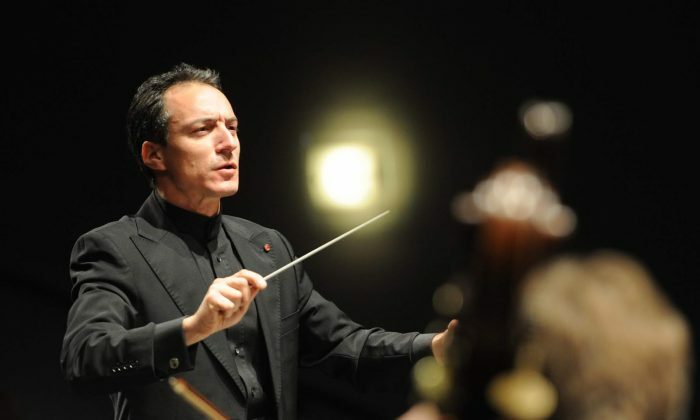 Damian Iorio will be conducting the Welsh National Opera’s revival of Dominic Cooke‘s production of Mozart’s “The Magic Flute” during February and May of 2019; this will be Damian’s debut with the company. He is also music director of the Milton Keynes City Orchestra, an ensemble with which he has strong family links. I spoke to Iorio recently via Skype to find out more. Iorio sees “The Magic Flute” as such a complex opera for which no definitive interpretation is possible. It is one of those operas that can be read in many ways. Iorio sees it as multilayered: fun, yet with an element of seriousness so that those who wish to delve into it can do so. Iorio’s preparatory reading has suggested a number of different angles. But he is aware that he is conducting a revival, and that affects how he approaches the piece. With a revival, certain questions will already have been discussed in the original production and answered from a certain point of view, and the conductor needs to understand this. He does not want to weaken a production that already has been set. Iorio has conducted more new productions than revivals, but he points out that even in a new production, a conductor is not entirely in control. He will be working with the director so that ideas flow between the two. Both situations—conducting a new production or a revival—require flexibility and open-mindedness, and Iorio loves that challenge. So far, Iorio’s career has been split between the opera house and the concert hall. He tends to do one or two opera productions per year. 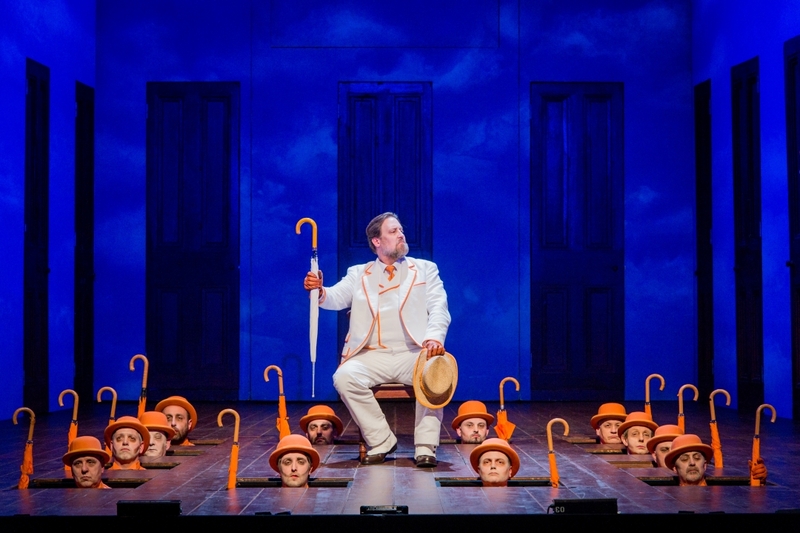 His previous opera productions have included “Boris Godounov” in Paris, “Mahagonny” in Sweden, and “Falstaff” with the Helikon Opera in Moscow and in Siberia. While there are differences between the conducting for the opera house and the concert hall, music is music, and he needs to be true to both himself and to the composer: to express, listen, and feel. Iorio is looking forward to his debut with the Welsh National Opera. Iorio has been music director of the Milton Keynes City Orchestra (MKCO) since 2014, but his connection with the orchestra, in fact, goes back 40 years and is very much a family one, as his parents were part of the orchestra from its founding in 1975. Iorio comes from a highly musical family. His grandfather was Australian, but came to the UK and became a well-known viola player, playing with The Hallé and in the RAF during World War II. In fact, he played at the Potsdam Conference. All three of Iorio’s grandfather’s children became musicians, including Iorio’s mother who was MKCO’s concertmaster until two years ago. She is still teaching. His brother is an opera director, his father a violin player. The orchestra came about because the Milton Keynes Corporation wanted to invest in the cultural life of the Milton Keynes City, and this goal is still important. Now in his fifth season, Iorio enjoys conducting the ensemble. Since he took the reins of the orchestra, he has seen to some changes. He is keen to keep the players local, thus while the orchestra remains freelance, many have links to Milton Keynes. And he has brought in major soloists to play with the orchestra (Sheku Kanneh-Mason, Craig Ogden, and Stephen Hough as soloists in the 2018–19 season). Iorio feels that the quality of the artistic offerings is good, but finding a balance of works is complicated because the offerings have to appeal to so many. The audiences tend to be quite mixed, so he has to understand which programs work best as there is the constant pressure to sell tickets. Yet he wants to challenge the public as well as giving them what they want. 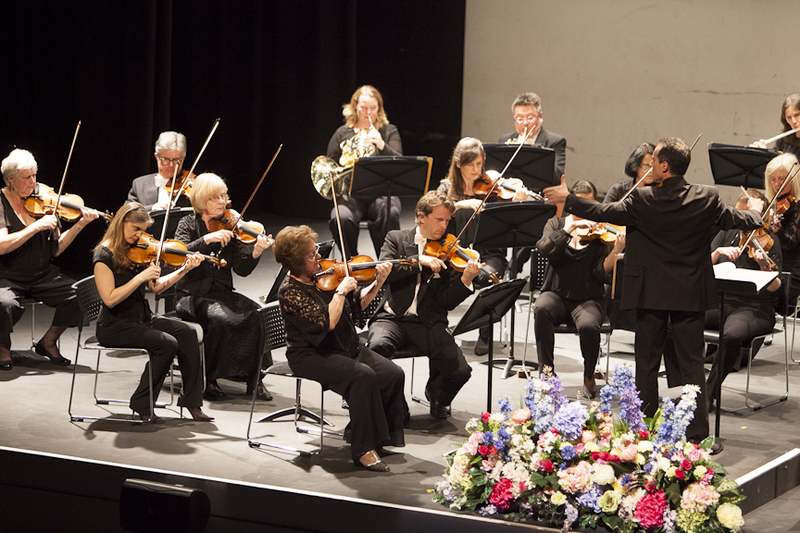 Iorio feels that in the UK, the orchestras and ensembles outside of London are good at challenging their audiences in comparison to other countries. But it is important to understand the audience as well as to challenge them, and his job is to lead everyone, both the orchestra and the public. He has started introducing the programs from the stage, bringing new light on existing repertoire, as well as helping explain unfamiliar pieces. Despite coming from a musical family, his parents never insisted on his becoming a professional performer. Instead, they ensured that he had a choice. Iorio had the usual arguments with his parents when he was in his teens, and his determination to work in music wobbled a bit. But he realized that he wanted to take his violin playing further and so studied at the Royal Northern College of Music (RNCM). While there, he also expressed interest in conducting, and his conducting teacher there was very generous with his time, bearing mind that was, in fact, a violin student. While at the RNCM, he did amateur and unofficial conducting gigs, but it was attending a master class given by the great conducting pedagogue Ilya Musin that really blew him away. And then he spent a year in the United States studying the violin with Franco Gulli, who was a great Romantic violinist, yet someone who also played Bach with a sense of authenticity. It was Gulli who opened young Iorio’s eyes in a profound way to the idea of being a musician, rather than just a violinist. Although Iorio thought that conducting was a way to further his development, he had no money, and so he got a violinist job in Denmark and studied conducting in Moscow once a month. He went on to win the second prize in the Leeds Conductors Competition and started doing some conducting in addition to violin playing. As a violinist, he worked with a number of major conductors, such as Kurt Sanderling, while still studying conducting. And then he made a jump and moved to just conducting jobs; it was a risky move but was the right decision. This career path has meant that Iorio came into conducting much later than many, but he feels that it was good to have had a career in performing before he became a conductor: He knows what it is like to sit at the back of the violins and knows the repertoire from within. Iorio has admired different conductors for different reasons. While he was in St. Petersburg, he experienced playing under Yuri Temirkanov and Valery Gergiev. His uncle had worked a lot with Claudio Abbado with the London Symphony Orchestra. As a violinist, Iorio found Kurt Sanderling as scary as anything to work with, yet when Iorio approached the conductor for mentoring, he found the conductor to be personally generous and gentle, lending Iorio his conducting score to copy the markings. Marek Janowski was another conductor with whom it was interesting to work, while Vladimir Jurowski has become a friend yet is someone Iorio regards as a great conductor with great vision. But his influences are not just from conductors, and he refers back to his violin teacher Franco Gulli, and also his first violin teacher, Sheila Nelson, with whom he studied for most of his childhood and whom he regards as a remarkable person.